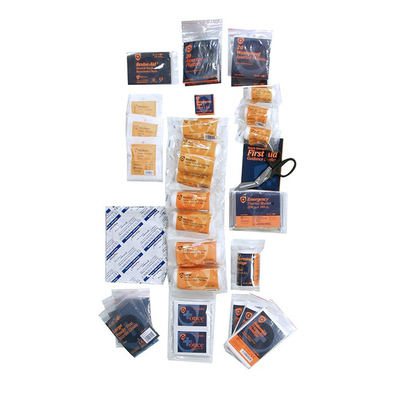 Make sure, no matter the type of business, you're prepared for any wound or injury with our BSI First Aid Kit Refill Medium. A great option for replenishing your existing kit or creating your own set according to your needs, this replenishment pack has been devised by the British Healthcare Trade Association and reflects the number of potential accidents likely to occur in the workplace. Simply pack the contents within your existing First Aid box and stay ahead of the game when it comes to the safety of your entire work force. We also stock our replenishment First Aid kits in alternative sizes alongside our Travel First Aid Kits and Burns First Aid Kits.